I told you yesterday that things were going to get exciting today. Did you get what Joshua 5:12 said? No manna appeared on the day they first ate from the crops of the land, and it was never seen again. This was a sign that they were home. No more wandering through the wilderness. No more going out each morning to gather their flake-like food off the ground. They were now eating fruit from the land God promised to Abraham, Isaac and Jacob hundreds of years earlier. I can just imagine that the way they felt that day will be the same way we at CCA will feel our very first Sunday in a permanent home. No more cafeteria tables to put away. No more projectors to hang. No more chairs to put out. Yes, I am sure the children of Israel are feeling mighty fine right about now. But although they may be home, their work is not done! And neither will CCA's be. But that's another blog for another time. Now on to the big news story of the day... Can you imagine being a fly on the wall in Jericho as the children of Israel were marching around the city? Rahab told the spies they were already terrified of them and their God and now every morning they are waking up to see the Israelites going around their city walls... again. Their fear was building and rightly so because on the seventh day the walls came down and Israel completely destroyed the city. 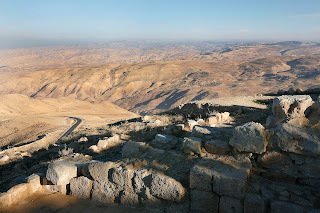 Jericho is a wonderful spiritual lesson for God’s people yet today. There are times when we find ourselves facing enormous “walls” that are impossible to break down by human strength. If we put our faith in God and follow His commandments, He will perform “great and mighty things” (Jeremiah 33:3) and give us the victory. 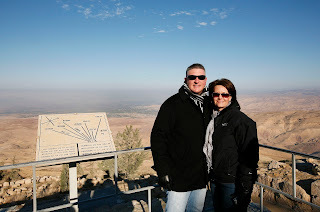 Yesterday I shared with you some pics from Mount Nebo, today I would like to share a few from our time in Jericho. 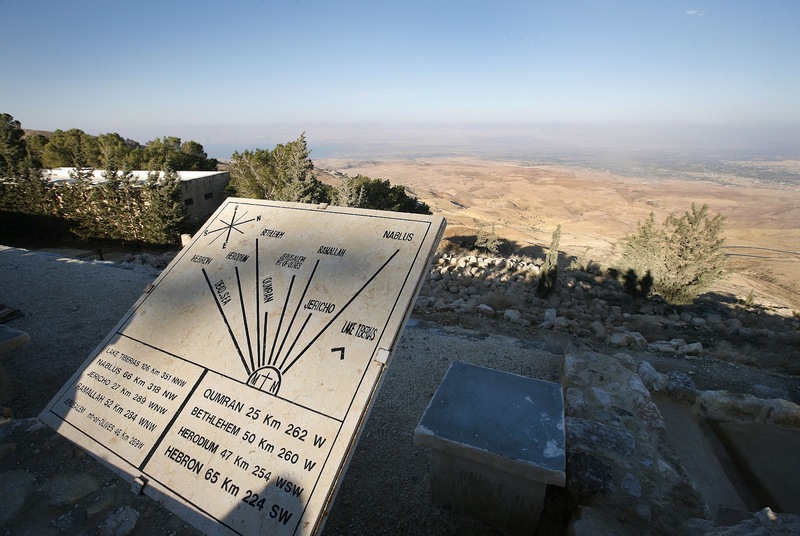 Looking over the city of Jericho. The Israelites had to be stoked to go from desert to this! All week we have been reading Moses' charge to the children of Israel to obey the commands of the Lord, to follow His instructions and to love Him with all their heart, soul, mind and strength. Every one of these acts requires them to make a conscience decision; they could do what's right and be blessed or do what's wrong and be cursed. And although we are reading about decisions made thousands of years ago, consequences for good or bad choices still exists today. One wrong decision made by anyone can not only effect them but a host of other people as well. Getting behind a wheel after drinking one to many drinks. Or flirting with someone who's not your spouse. Or working late, again, instead of spending time with your kids. So, how can you know if your decision is a good one or not? Lay this question along side your dilemma... Is this decision one that is overriding my senses and is it an option that at some level I know I should not do? If so, then you probably should not do it. Today my prayer for all of us is that we would stop, think and pray before we make even the smallest move in our life because our decisions will always stretch far beyond our reach. And once made and acted upon, that action can never be changed no matter how hard we pray. For the LORD your God has blessed you in all the work of your hands. He knows your going through this great wilderness. These forty years the LORD your God has been with you. You have lacked nothing. This verse encourages me and I pray it encourages you too because we are never promised the good life but we are promised that God will go with us throughout our life. And when we are unlovable. The verse says that God knows you are going through a great wilderness, He is with you and you will lack for nothing. The Lord is with you, always. The children of Israel are packed up and ready to move on to their next location. And let me just say, I love the precision of the instructions God gave Moses as to how they were to pack and move throughout the land. There was a method and an organized way to which they moved and that makes me grin because sometimes I think I can over organize and over plan. I am not one to move blindly through events. I think they call people like me control freaks. You see, I like things to go a certain way because I know you get certain results. Each day as we are reading ALL the instructions God is giving Moses it can seem our reading is insignificant, but there really is a reason and purpose for the way God is instructing them to pack and move. When you read Numbers 10:13-28 you understand better why God said to do it the way He has said to do it. There is so much meaning here that I wish I had time to really 'unpack' it. But here are just a couple points of interest. Therefore, when the Kohathites (who carried the sacred objects for the temple) arrived no time was wasted; they were ready to finish setting up the temple. Man was not designed by the Creator with eyes in back of his head, so God has covenanted with His people to protect and guard them from behind (Isaiah 52:12). We ought to walk with confidence when we consider that the God of Omnipotence not only goes before us, but He guards us from behind!